When it comes to cookware, however, I was fairly skeptical at first. When celebrity chefs like Paula Deen endorse cookware sets that can’t beat established budget brands, it’s tough to believe that a wholesale retailer can make high-quality cookware that can rival a dedicated kitchen company like Cuisinart. 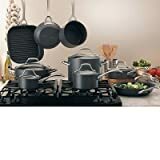 Nevertheless, I’ve come to the conclusion that Kirkland’s cookware sets are some of the best options when it comes to buying midrange cookware sets. It’s got a polished steel exterior, a durable stainless cooking surface, and an aluminum core that helps distribute heat evenly throughout each piece quickly after you turn on the burner. The large number of actual pots and pans in this set means that it provides better value than many competing options. One quick note before we dive in: while I often advocate purchasing a saute pan or another single piece of cookware to try out a brand before you buy, this is pretty hard with Kirkland Signature. Most of their cookware is available primarily as a large set. Unless you want to use a weird piece like a roasting pan as your starting purchase, it’s probably best to dive right in with a full set. This 13-piece set features the same sort of tri-ply construction you see in high-end sets from Zwilling, All-Clad and Cuisinart. It’s got a polished steel exterior, a durable stainless cooking surface, and an aluminum core that helps distribute heat evenly throughout each piece quickly after you turn on the burner. The outer layer is magnetic to facilitate seamless use on induction cooktops, meaning that this set will work with every sort of range in any home. One of the biggest benefits of this style of cookware is the extreme durability that’s granted by the use of stainless steel in the construction. Stainless steel will last for many, many years, meaning that it’s very likely that you’ll be able to use this cookware set decades from now. The handles are solidly riveted onto the bodies of each pot and pan, while the steel lids fit snugly and help ensure that any condensation that builds up drips right back down onto your food. 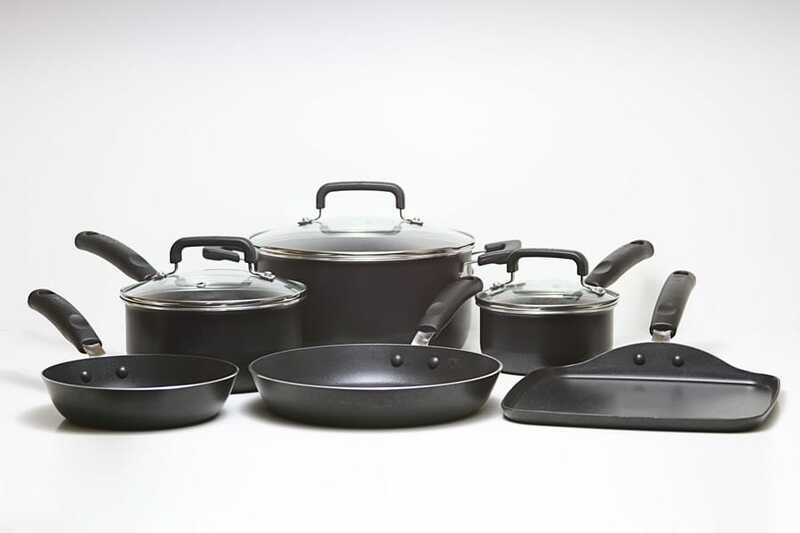 Each pot and pan in this Kirkland set feels weighty and high-quality. Ther rims of the pots are tapered in just the right way for drip-free pouring, which is a common feature among high-end cookware brands. The multi-ply construction helps give this set incredible performance on the stove. 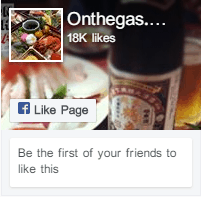 It’s fantastically fun to cook with. Of course, without a non-stick surface, you’ll need to use a bit of care to prevent foods from sticking. 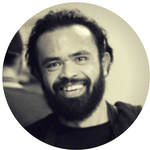 Most serious home chefs will tell you that it’s easy enough to cook sticky dishes like eggs and meat without too much fuss as long as you’re careful. The key is to use a combination of the right heat, the right cooking time, and a little bit of fat. If your food is sticking, try waiting a little bit for the bottom to fully cook. One common cause of food “sticking” to a stainless cooking surface is that you’re simply being too impatient. This isn’t the cheapest cookware set you can find. As far as price goes, it’s pretty comparable to Cuisinart’s Multiclad Pro line or ZWILLING’s Spirit line. This is a bit more expensive than discount brands like T-Fal or even Macy’s Tools of the Trade store brand. That said, this cookware definitely feels very high quality and will last long enough to easily justify the little bit of additional cost. For me, the biggest downside is actually the appearance of this set. While the polished exterior of these pots and pans is fairly attractive, the handles feature prominent Kirkland Signature branding that makes it obvious who makes these pots and pans. While I’m a fan of Kirkland Signature products, I don’t think they have a particularly attractive logo. I’m also not quite as proud of using a Kirkland pot or pan as I might be of using All-Clad cookware, for example, or even ZWILLING. That isn’t the biggest or most serious downside, however, and I’m more than willing to overlook this awkward branding for the quality of these pots and pans. For me, this set really hits the price/quality sweet spot. It’s heavy, durable, and well constructed. If you’re looking for an affordable set of high-end multi-clad cookware, this set is a perfect choice. This anodized aluminum cookware set features genuine Teflon non-stick on the inside. While it’s not the cheapest aluminum set you can find, the large number of actual pots and pans in this set means that it provides better value than many competing options. Unlike the tri-ply set above, this cookware line uses pure aluminum with no additional materials to make up each pot and pan. 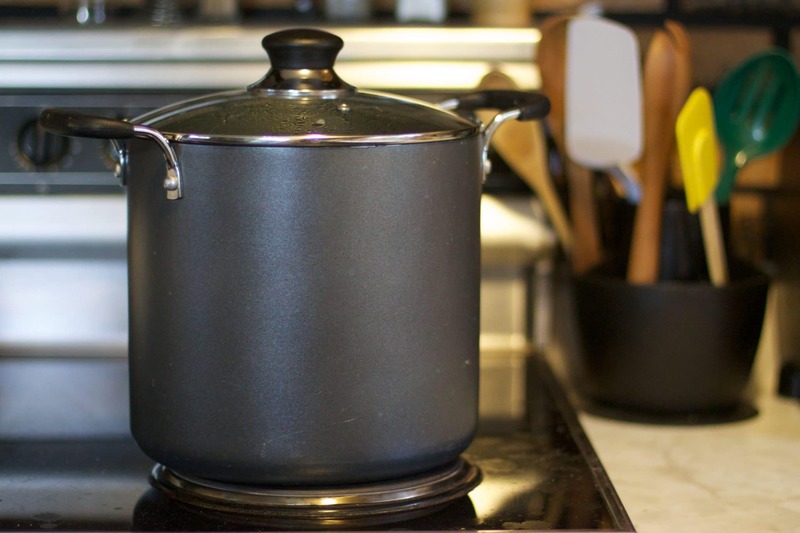 In order to lend aluminum the strength and toughness it needs to hold up to the rigors of everyday kitchen use, the outer layer of each pot and pan is treated with a process known as anodization. This makes the aluminum quite comparable to stainless steel in a number of important ways, including durability and the ability to resist corrosion. The resulting pans are light and incredibly good at conducting heat. Aluminum is something like ten times as good at conducting heat as steel, meaning that this non-stick set will heat up even faster than a comparable tri-ply set. It’s got excellent performance on your range. There are some downsides, of course. First of all, these pots and pans don’t have any magnetic material inside of them. That means that they won’t work on induction ranges at all. Second, while anodized aluminum can do a great impression of steel in the short term, you probably won’t be hanging onto these pans for decades. One other factor that contributes to this lack of longevity is the non-stick coating. While Kirkland has chosen a modern Teflon coating for these pots and pans, even the best non-stick will chip and flake off over time. You can extend the lifespan of your pots and pans with careful handling and proper care, of course, but you’re realistically looking at a practical maximum of 5 years with most non-stick products. This includes ceramic non-sticks, too, so don’t feel bad for choosing Teflon over other modern alternatives. In case you’re worried about toxic chemicals, this set is totally safe. Modern non-stick coatings are produced without the use of PFOA, which is the chemical that caused a big scare a few years ago. The only thing you’re worried about is overheating these pots or pans, which can give you a headache. As long as you don’t throw them in the oven at high temperatures (450 F+) or leave them unattended on your stovetop, however, you’re probably fine. Kirkland has elected to use stainless steel handles and glass lids with this cookware set. This is a bit of an odd combination since metal handles are usually chosen over the rubberized alternative for high-temperature oven safety, which is defeated by the non-stick interior and glass lids. There’s nothing wrong with either choice, however: glass lids help you keep an eye on your cooking, while the metal handles lend a little bit of durability to this cookware. One of the biggest differences between this Kirkland set and competing hard anodized offerings is the thickness and “heft” of the Kirkland pots and pans. Despite the relative lightness of aluminum, this set is fairly heavy. Thick walls and bases help ensure that your pots and pans sit squarely on the stovetop and lend it a bit of extra durability. This is one of the better non-stick sets you can find on the market. Again, it’s not the cheapest option around, but you can’t go wrong with the high-quality aluminum construction and genuine Teflon non-stick. You’ll love how easy these pans are to clean up after an evening of carefree cooking. One final note: this cookware set is a bit odd to purchase on Amazon. There are a number of identical listings that all offer the exact same cookware set under very slightly different names. You’re free to purchase whichever one is cheaper! Kirkland Signature: A Hidden Cookware Gem? Kirkland’s quality cookware sets can easily compete with mainstay kitchen brands like Cuisinart and even sets endorsed by celebrities like Guy Fieri. They make two primary sets: a hard anodized set with a non-stick interior that’s easy to cook on and a tri-ply stainless steel set that will last just about forever. Both cookware sets feature high-quality construction and careful design features that help set them apart from budget store brands like Tools of the Trade. 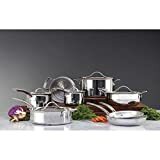 I strongly recommend these Kirkland sets to anyone who wants either a durable stainless steel cookware set or a high-quality hard anodized set for a reasonable price. While Kirkland Signature is normally a Costco store brand, you can purchase either of these sets on Amazon without needing a Costco membership. This means anyone can experience the joy of owning a high-quality cookware set without spending a lot of money.